The Bushehr nuclear power plant in southern Iran. Consider this categorical statement he made in February: “The Iranian nation has never pursued and will never pursue nuclear weapons . . . because the Islamic Republic, logically, religiously and theoretically, considers the possession of nuclear weapons a grave sin and believes the proliferation of such weapons is senseless, destructive and dangerous.” Khamenei might well have been laying the ground to explain concessions to his audience at home. It's highly believable what the supreme leader Khamenei said about nuclear proliferation being against principles of Islam. Yet all these years Iran has been accused of clandestine nuclear activities and facing sanctions. Perhaps this brawl did inspire Iran to have a secret enrichment plant built underground near Qom, a plant in a mountain in order to safeguard its technology from an air attack. 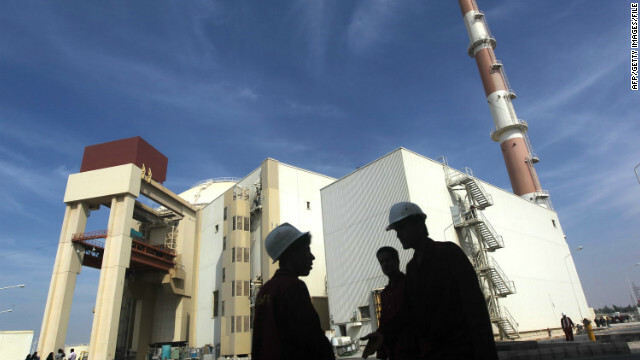 Iran said the Fordo fuel enrichment plant, would enrich uranium up to 5% and would have 3,000 centrifuges. Later it said the purpose of the plant was to enrich uranium to 20%, as well as carry out research and development. Now it's up to the regime to decide, whether it wants to comply with the Non-Proliferation Treaty or face harsh sanctions. The picture on right looks a Mosque not a Nuclear Bomb. Probably, some people might not differentiate Mosques and Nuclears, since they are both erected tall and pointed to the Sky.